High School is almost behind you and you’ve got big dreams for the future. So how do you take those dreams and make them a reality? Start with a post-secondary education plan! Not sure where to start? Don’t stress about it because we’re here to show you the way. No matter what you’ve heard, the road to a post-secondary education isn’t the same for everyone. You’re unique and your experience will be too. For some students, a traditional college education may be the next step. For others it may mean a vocational program to become an electrician or plumber and some may want a professional certification to jump into a career. There are so many possibilities which can make your decision even more confusing. That’s why we’ve collected some resources that will help you to and through your journey to a post-secondary education. Not sure what career is right for you? Click on the following link to complete a free self-assessment and free skills assessment at MyCareerShines to see what your future might hold. Trying to find ways to pay for college? Once you’ve completed the free assessments at MyCareerShines, take advantage of their bank of over 300 scholarships you can access to lighten the financial load. Looking to give your scores a boost or maybe get some extra help in math? Click on the link below to sign up for Khan Academy, a free tutoring and support program that will strengthen your study habits and help you ace your next test. Financial Aid is just a click away when you fill out the Free Application for Federal Student Aid or “FAFSA” Application found below. Education beyond high school is essential in attaining a career with a sustainable living wage. 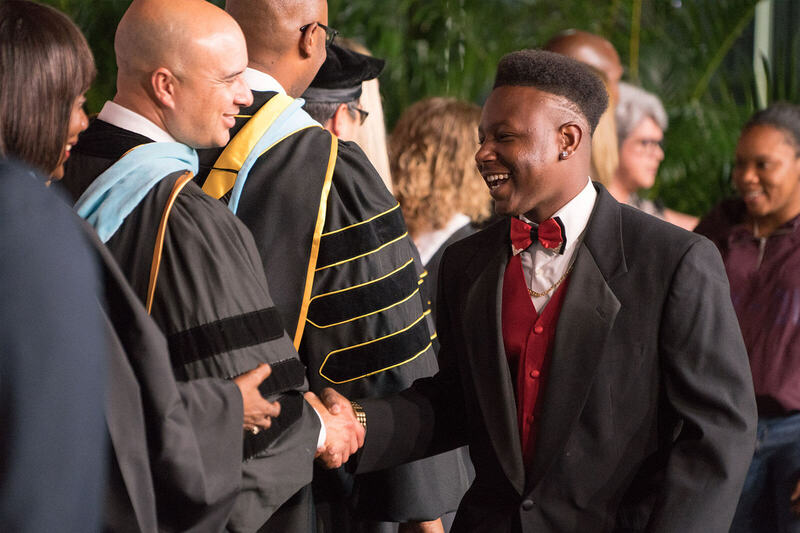 According to data from the Florida College Access Network, only 42.9% of all Palm Beach County high school graduates and 31.5% of our low-income graduates are predicted to complete a post-secondary educational program within six years of high school graduation. Those numbers are startling when you begin to consider how those figures will translate into the future county job market. According to the “Good Jobs Study” State by State Comparison Report on Florida completed by Georgetown University’s Center on Education and the Workforce, of the 1,691,000 ‘good jobs’ counted in 2015, 100% required some form of post-secondary completion. These are jobs that range from Dental Hygienists and Diagnostic Medical Sonographers to Glaziers and Heating/Refrigeration and A/C Mechanics as well as Plumbers, Pipe Fitters and Steam Fitters which are but a few of the fastest growing number of occupations in our state. Maybe your family has members who have already gone to college and can help guide your student through it and maybe you don’t. Either way, the more informed you are, the better off you’ll be when planning for a post-secondary education for your student.